My obsession with cat-related accessories and clothing isn't exactly a secret. I'm sort of cat obsessed in general and I love quirky accents to outfits. Kate Spade always has the cutest accessories to add on as well as the best statement pieces! I've been carrying around my lemon bag all summer and I'm swooning over all of these kitty-themed pieces! After taking a 3 year break, I'm loving catching up on your blog -- good to see you are doing so well! Oh my gosh!! Welcome back, thank you! I'm so happy that you're back in the blogosphere, can't wait to catch up on your blog! OMG they are super cute! I love those cat bags and shoes so much! You will see a cat bag charm on my post tomorrow! 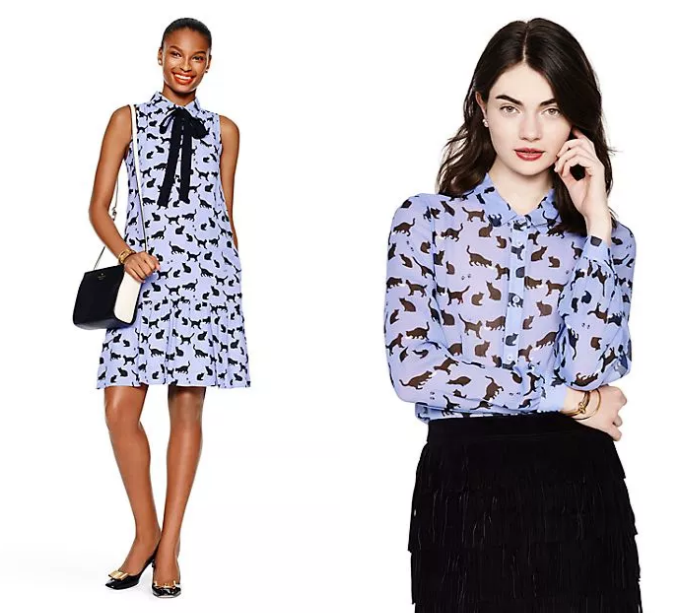 Kate Spade is one of my favourite brands :) These cat pieces are too adorable! What a fun way to show what you love literally on your sleeves!!! Can't get enough of cat-related things! That's so MEAW, Chelsea! ;) The accessoiries are really fun and great statement pieces!